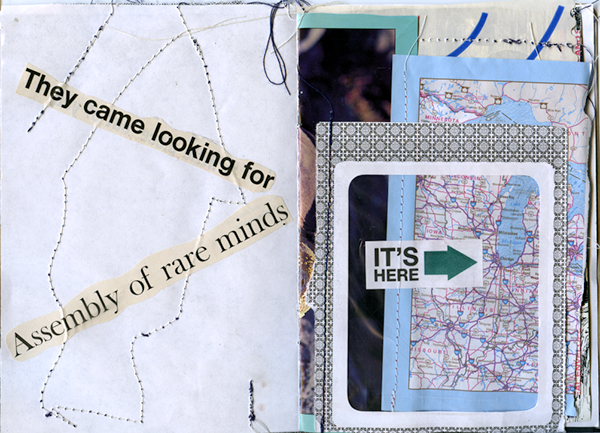 Found: Eureka! 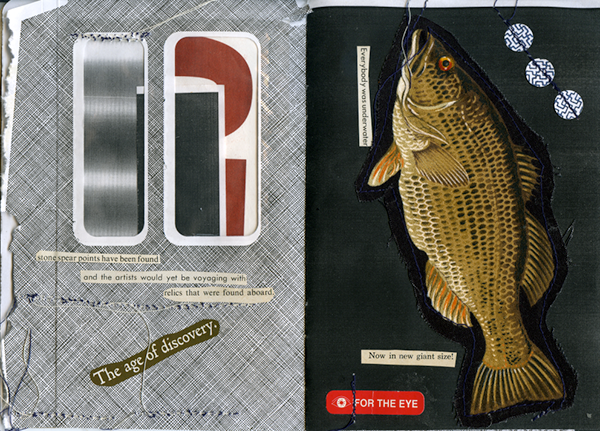 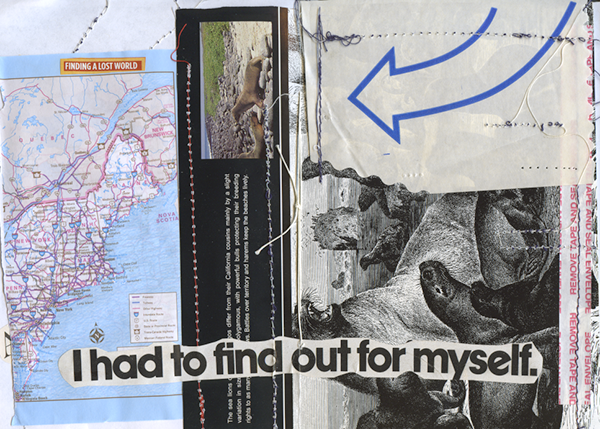 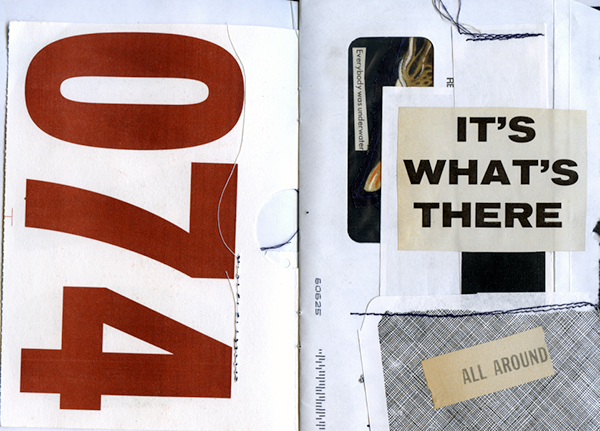 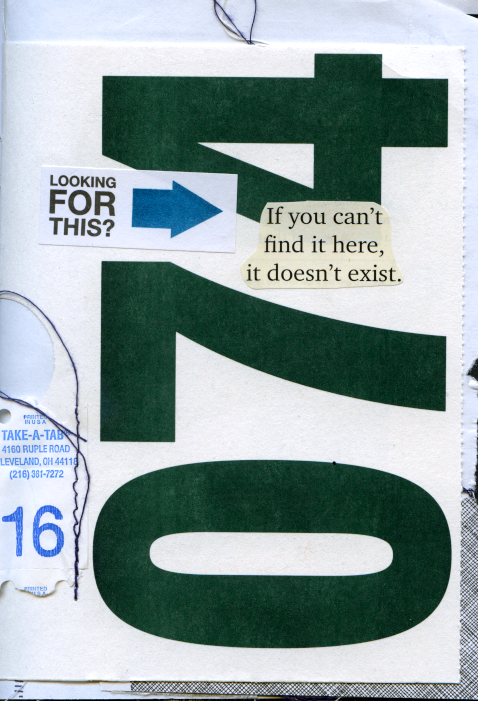 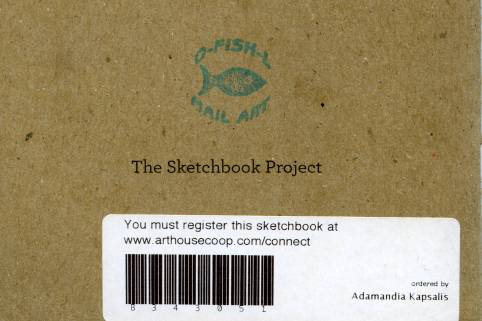 is my entry into the Brooklyn Art Library: The Sketchbook Project. 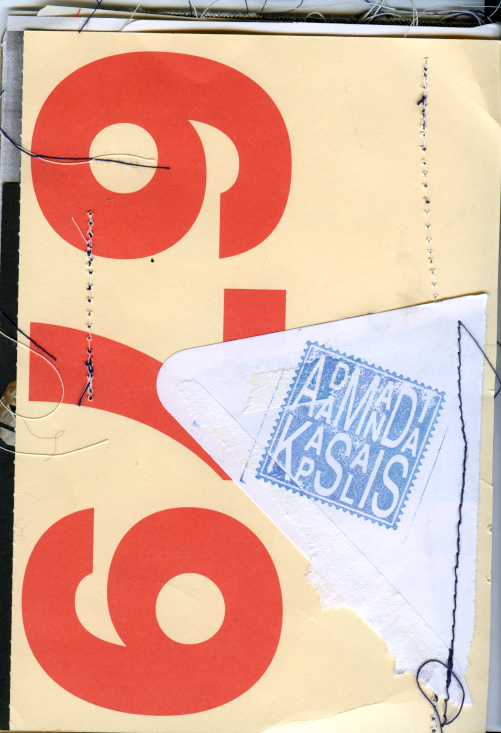 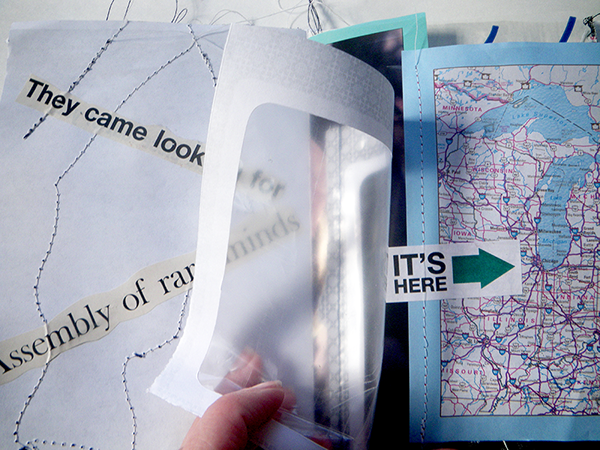 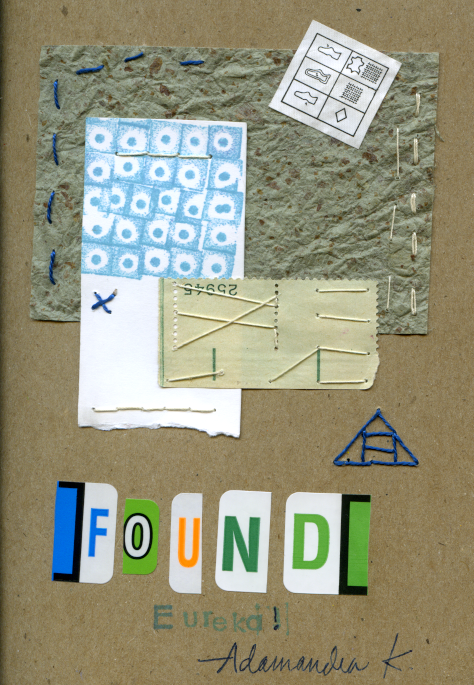 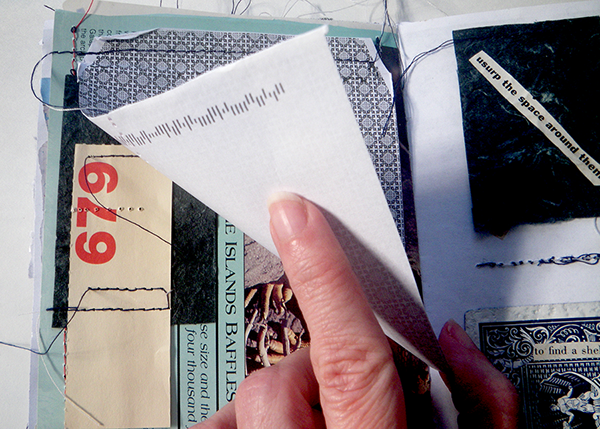 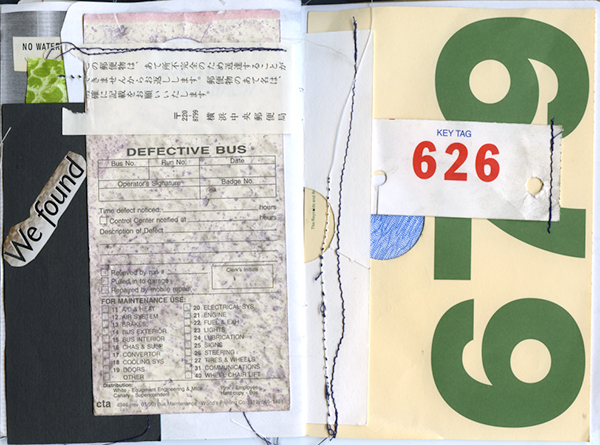 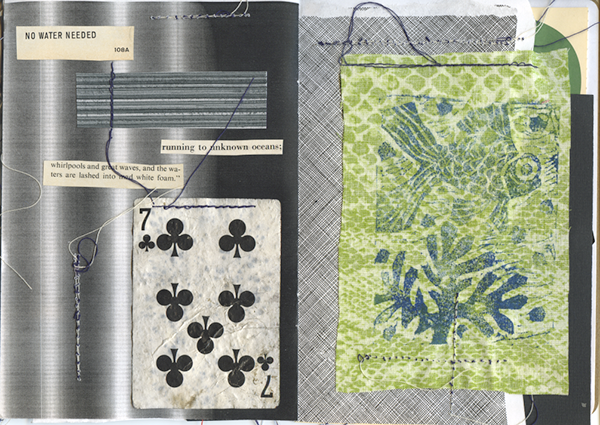 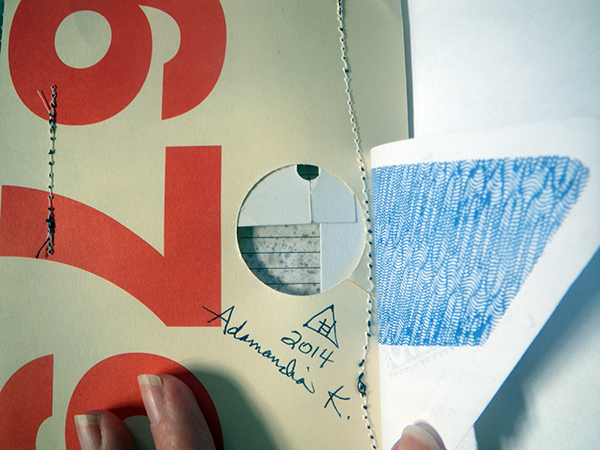 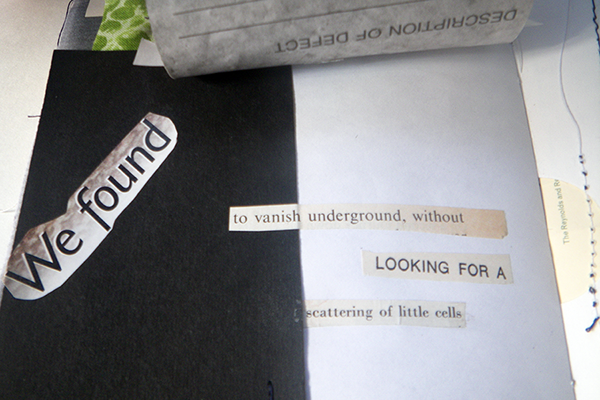 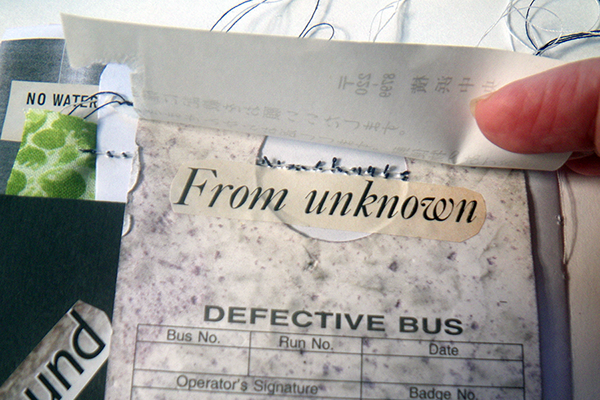 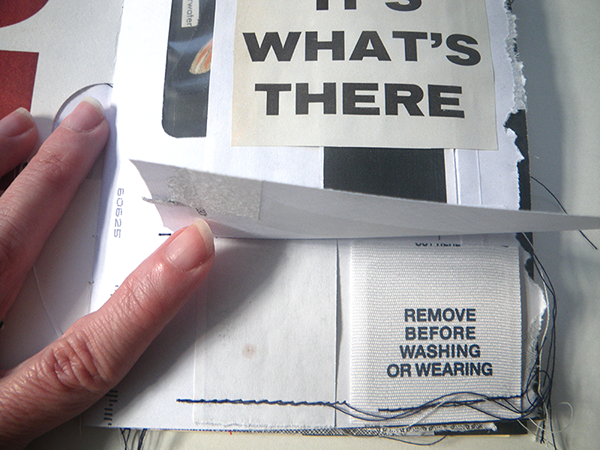 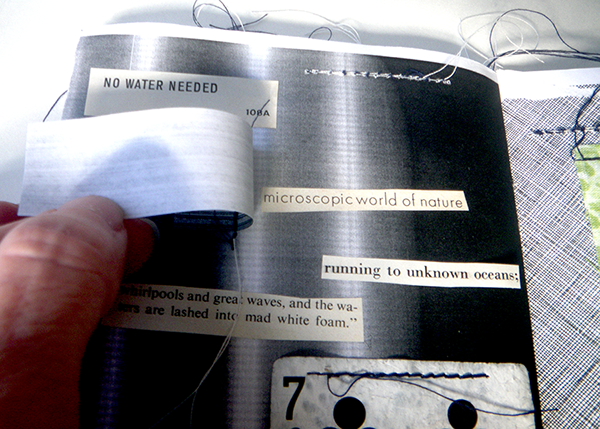 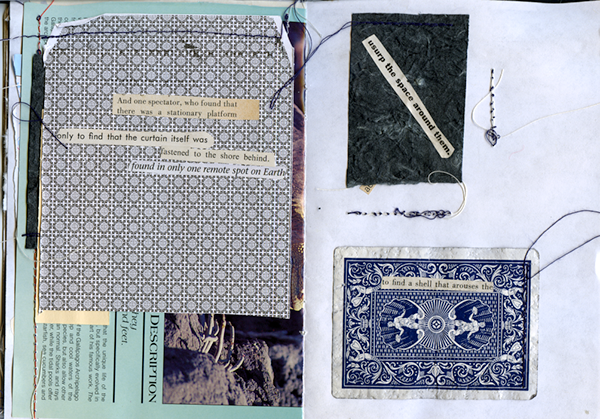 I used found and collected paper and cloth ephemera; rubber stamp marks. 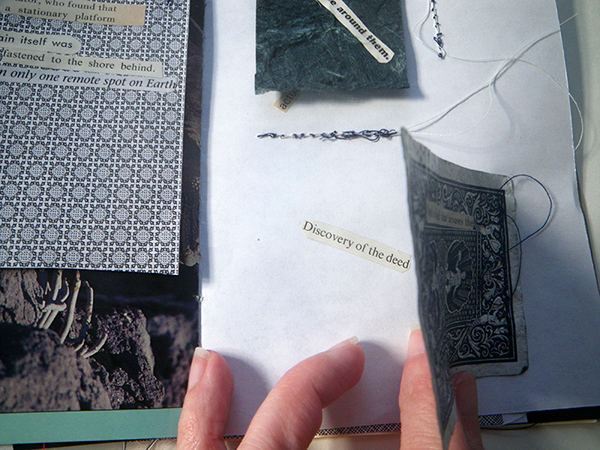 Removing the provided sketchbook paper I sewed my own found materials to make fourteen collaged mix media pages. 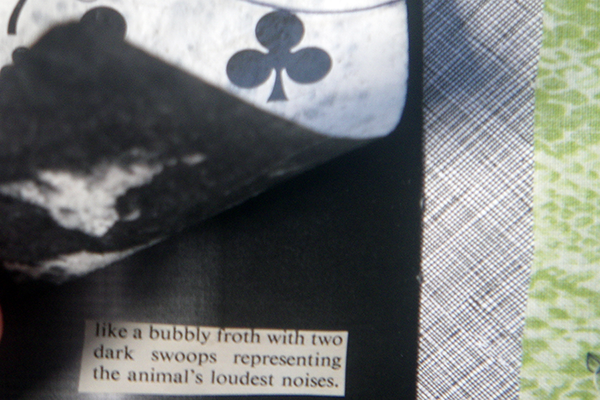 The text was found in Life Magazine (c.1970s) and Smithsonian Magazine (c.2012-13). 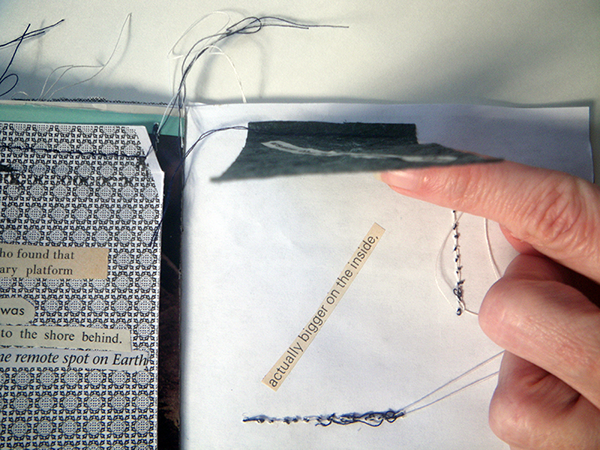 The cover is hand sewn and the pages within were sewn on a 1950s Singer sewing machine with thread rescued from an estate sale.